My childhood Christmas season always began with a feast. A love feast. Although not Moravian, my church adopted their traditional Love Feast, and the Christmas season didn’t officially begin until this service. My memories are filled with the warm sight of glowing candles, sparkling Chrismon trees and evergreen wreaths. My taste buds still tingle with the long-ago flavors of sourdough bread and creamy coffee, a ceremonial part of the gathering. The sounds of old carols sung by a full choir ring through the halls of my mind. But mostly I remember the way I felt, wedged tight between my parents, full to overflowing with the anticipation of everything surrounding Christmas — family time, gifts and laden tables. Snuggled there, I felt safe, secure, and most of all, loved. Love. That’s what Christmas is really about. In that first Christmas before all our modern trappings existed, the meaning was found in a baby who came to show God’s immeasurable love for us. When the Apostle John wrote his Gospel, he told us exactly why Jesus came: “For God so loved the world that he gave his one and only Son, that whoever believes in him shall not perish but have eternal life” (John 3:16, NIV). Later, when he was old, John was compelled to write again to remind us: “This is how God showed his love among us: He sent his one and only Son into the world that we might live through him” (1 John 4:9). One day I was reading through dictionaries and lexicons to research the meaning of the word love. In both of these passages, the Greek word agape was used. Agape is an expression of God’s lavish, unconditional love. That definition held true, but there was more. As I read down the list of meanings, the word “feast” jumped out at me. Yes, agape is the mystery of God’s boundless love, but it’s also a feast. A love feast. That stopped me in my tracks, reminding me of the abundance of my childhood Love Feasts — the fragrant surroundings, the bounty for my eyes, but mostly the delicious tastes that filled me. God sent His Son to bring a feast of His love. We are meant to be filled to overflowing with it, but often we’re starving instead. The table is laid, but we hang back, sure that we’re unworthy or uninvited. The mountains of nourishment beckon, but we choose the deprivation of our aching, hollow hearts because of our skewed view of God. The enemy of our soul makes us think, Surely God can’t be as good for me as He is for others. But He is! In sending His Son Jesus to be born, to live a sinless life and then to trade His perfection for our sin on the cross, God shows us His true nature. God is a feast-thrower, not a crumb-giver. He offers us a full life in Jesus that will fill our growling souls. This festive season is also a feast season, so let’s use every meal as a chance to remember. God sent Jesus to fill us in ways that our seasonal food never can. Through Jesus, God gives a love feast to show the world just how much He longs to satisfy our starving souls. Lord, thank You for this beautiful season. I’m grateful for all the sights, sounds and scrumptious foods that remind me of Your abundance. But mostly I praise You for the feast that You sent in Jesus, the only food that satisfies me from the inside out. In Jesus’ Name, Amen. Liz Curtis Higgs’ The Women of Christmas gives delightful accounts of how God lavished His love on the women around the birth of Jesus. Pick up a copy today, or browse our entire holiday collection to fill your soul in this season. When you’re hurting, there are many places you could run to.  We hope Proverbs 31 Ministries has met you there, offering the truth of God's promises in the midst of devastations. Reaching a hand to pull you back up so you can keep moving. Keep believing. Keep hoping. Will you help us continue to reach women around the world with the only hope that will sustain them? We can't do this without you! Visit Amy Carroll’s blog today to download a Christmas feast prayer just for you. How have you viewed God as a feast-thrower or a crumb-giver in your life? Make a list of all the ways God has shown Himself to you and blessed you. Write out a prayer asking God to help you focus on the evidence of His goodness in your life, and watch how His abundance becomes more and more apparent. Share your list or your prayer in the comments! © 2018 by Amy Carroll. All rights reserved.